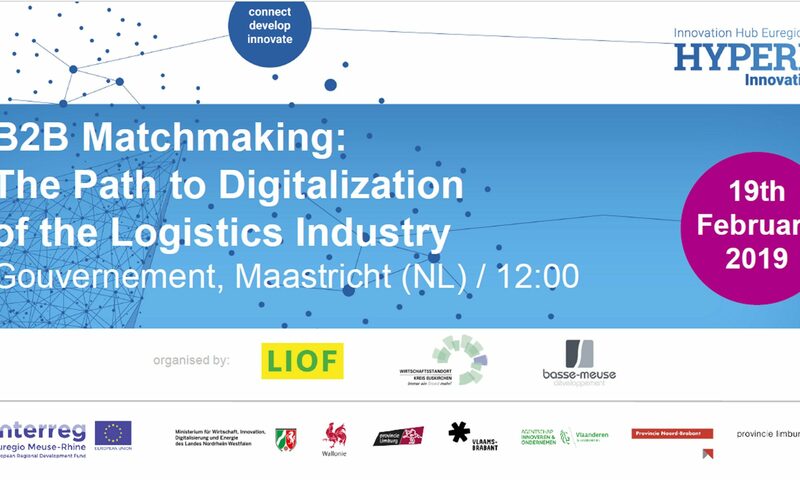 As part of the Interreg HYPEREGIO programne “Innovation2Market”, LIOF, Basse-Meuse Développement (Belgium) and Kreis Euskirchen (Germany) organize a special matchmaking event on this theme. You will be informed about which chances there are for your company: Dutch, German and Belgian companies will share their knowledge with you. During the event we will try to match the demand with the offering, the problem with a solution and this in a cross-border way of cooperation.